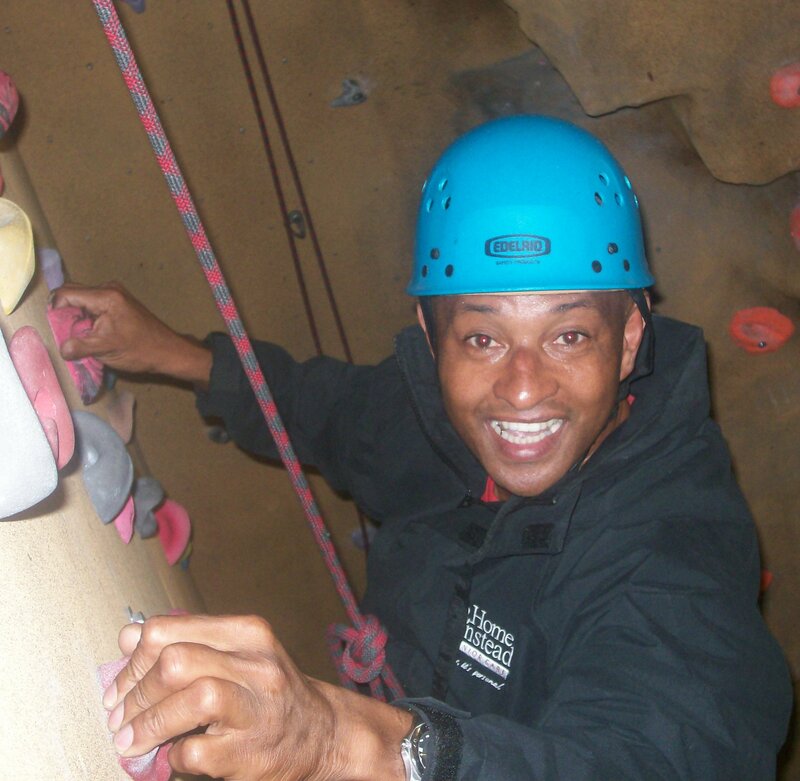 Tony O’Flaherty, owner of Home Instead Senior Care in Wandsworth is planning to abseil down London’s iconic Battersea Power Station on 19th November despite suffering an horrific climbing accident 15 years ago. When Tony O’Flaherty and his climbing partner decided to abseil down the Penon Ifach in Calpe, Spain, they did not expect the rock face to crumble away, sending Tony falling 60 feet. Tony was rushed to hospital suffering from many serious injuries including a broken back, partial paralysis, fractured skull and a pierced lung. Fortunately, he pulled through, and is now planning another abseil. Owner of at-home care company, Home Instead, Tony has been practicing at the Crystal Palace national sports stadium in order to calm his nerves in preparation for the big day. Tony commented, “This was the first time I trusted my full weight on a rope since my fall. It was truly perturbing!” However, he hopes that with a bit more practice, he will join the ‘High Voltage Abseil’ and descend down Battersea Power Station without a hitch. Home Instead Senior Care is an at-home care company that provides tailor made services for elderly residents in their own home including meal preparation, medication reminders, companionship and errands. If you would like more information call 0208 871 0006 or visit www.homeinstead.co.uk/Wandsworth.